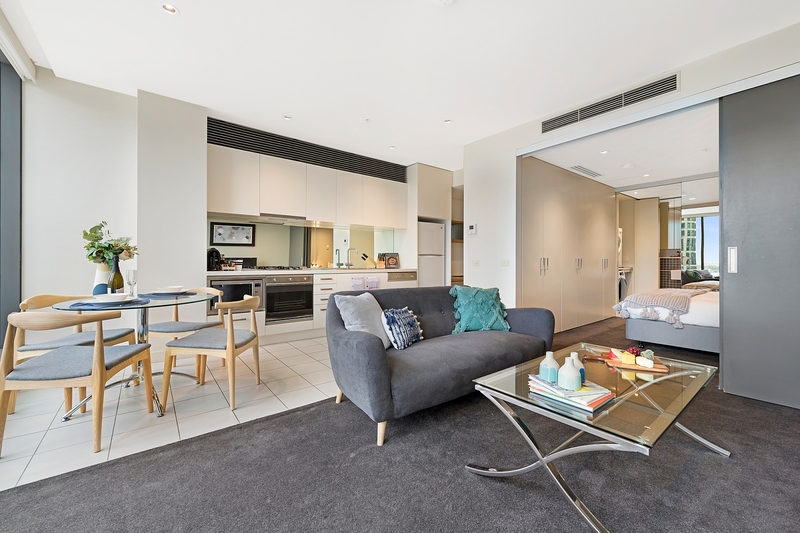 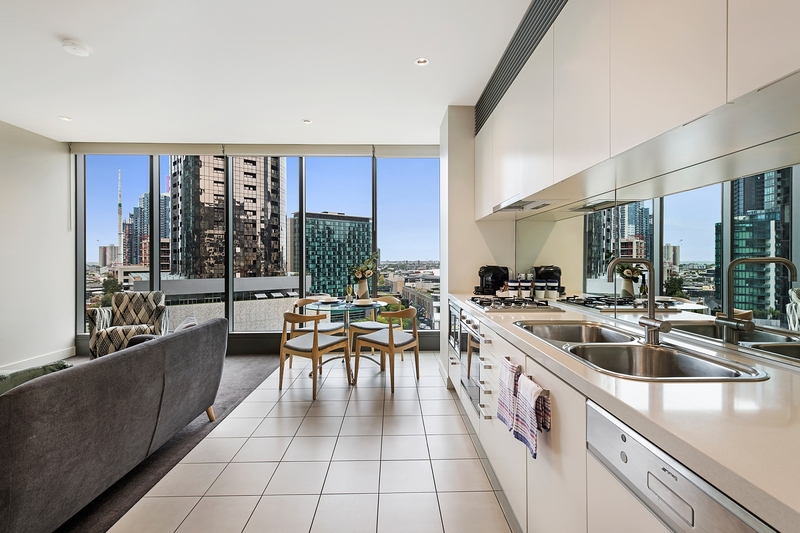 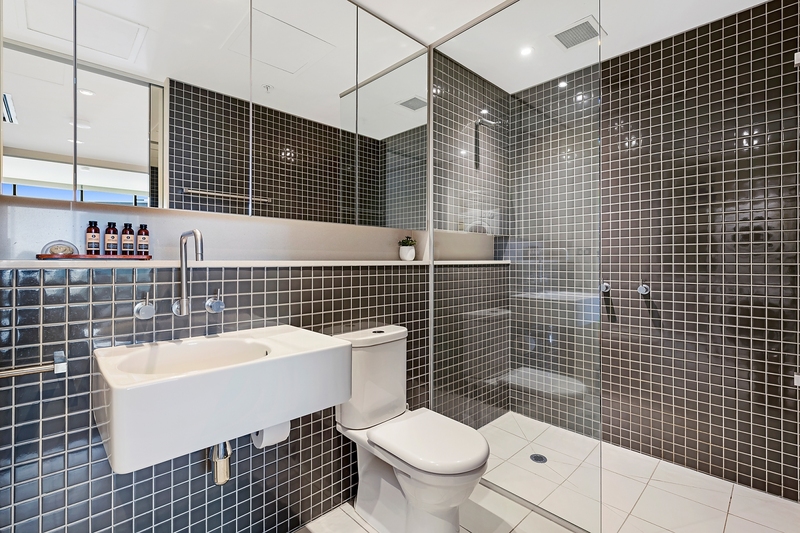 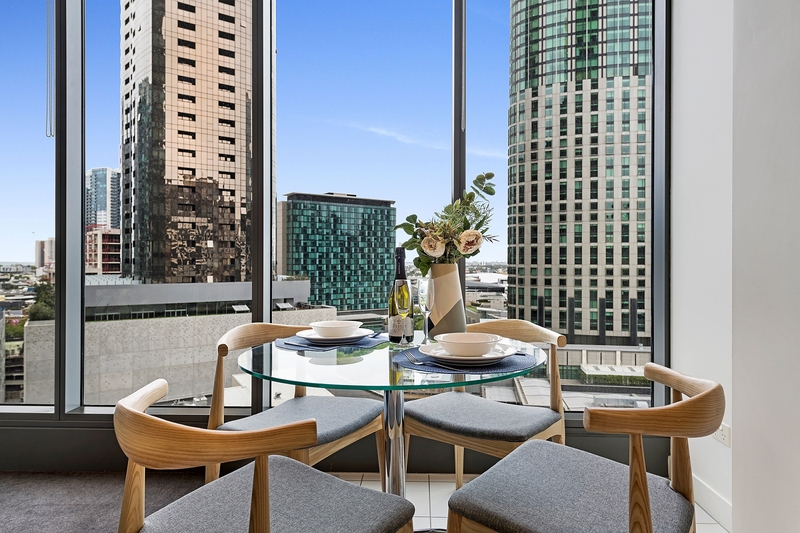 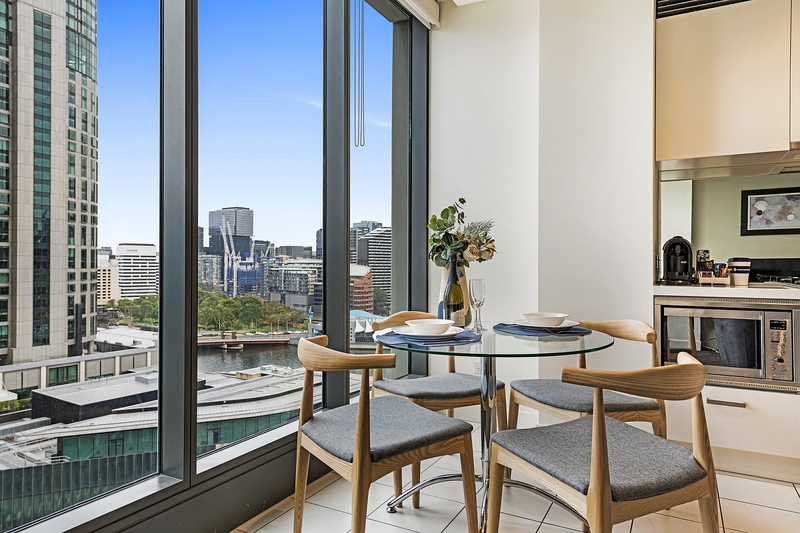 Apartment 1311 at Number One Freshwater Place is positioned on the west side of the building, with views of the Yarra River, Crown Casino Complex and sunsets on the horizon over the city and Port Phillip Bay. 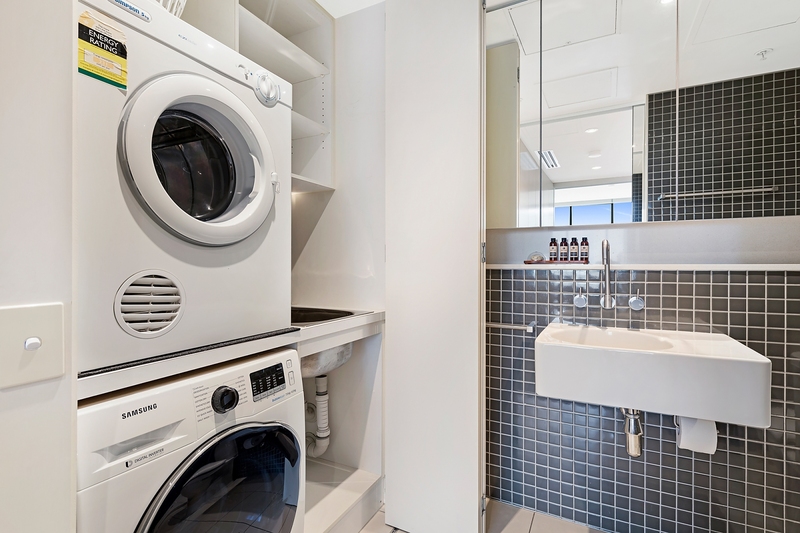 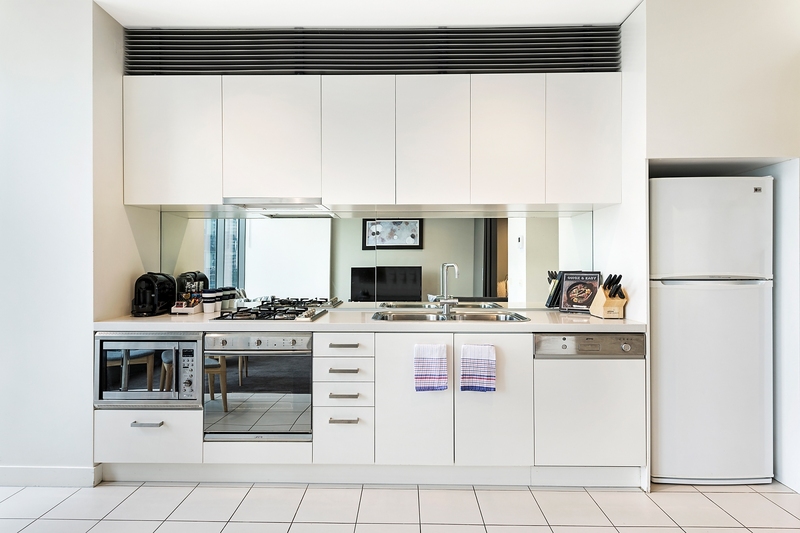 The open plan apartment is 52 square metres (560 square feet) and is equipped with a modern galley-style kitchen featuring European appliances. 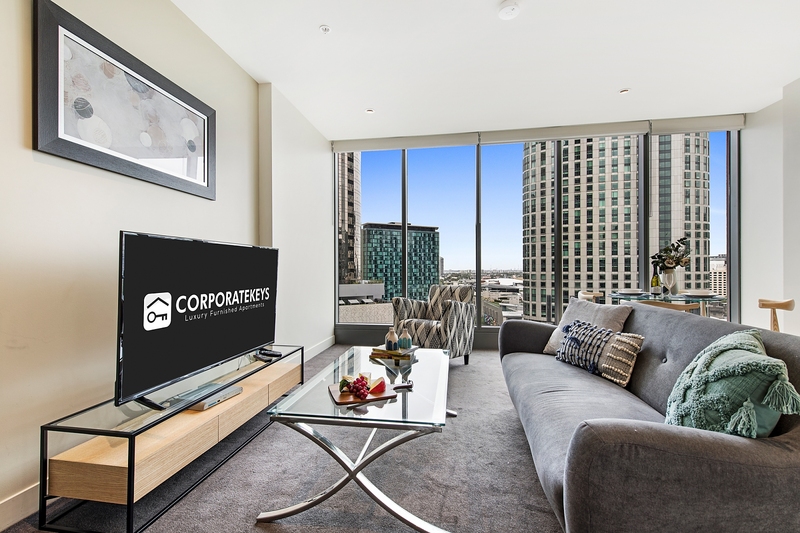 The 42" TV includes DVD player and 30 cable channels. 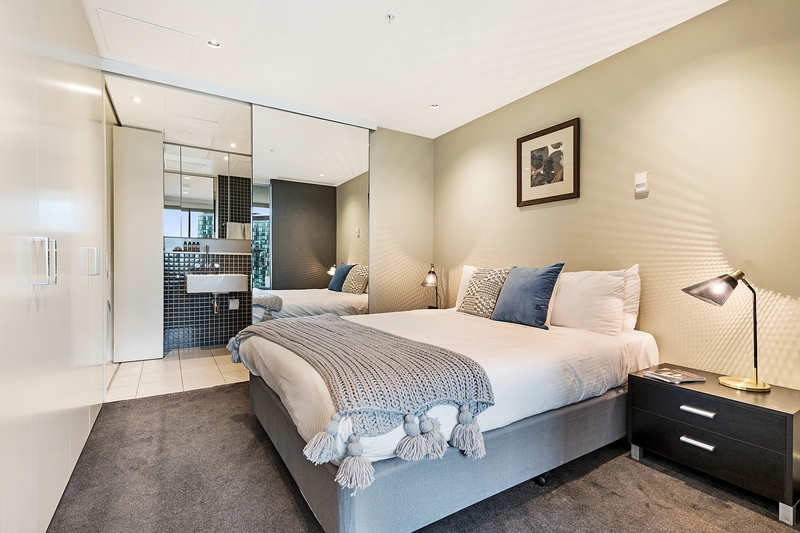 The bedroom has a comfortable Queen size bed and ample wardrobe space. 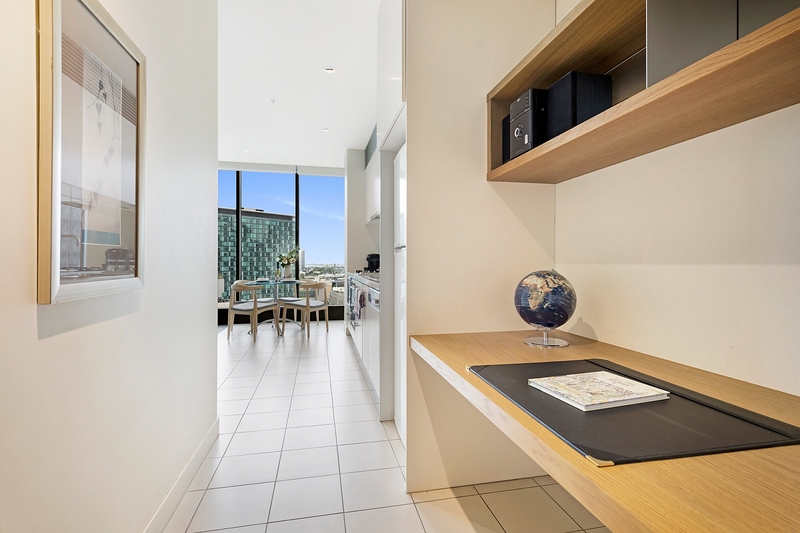 There is a long timber desk with overhead shelving in the entrance hall which would be great for work or study. 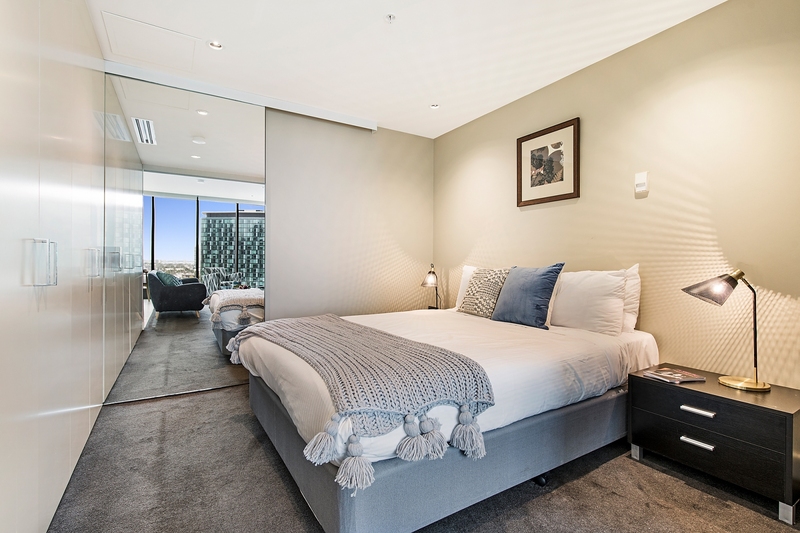 We have out-fitted this gorgeous apartment with our signature white-leather and timber, chrome and glass business-class furniture package.